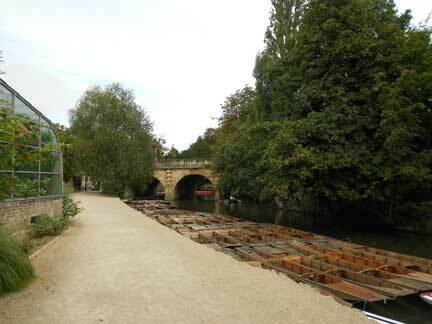 The University of Oxford Botanic Garden is right next to the river and here you can see a glimpse of one of the greenhouses as well as the traditional punts. The South West Computational Chemists (SWCC) meeting is usually the first sign that the new academic year is on its way as it takes place in late September every year. The meeting brings together PhD students, researchers and academics who consider themselves as based in the South West and can spare the time to attend for an afternoon of presentations, usually given by students approaching the end of their studies, although that, like the South West thing, is interpreted very loosely. One of the main borders in the garden. Indeed, this year SWCC was held in Oxford and so most of Bristol’s Centre for Computational Chemistry (CCC) boarded trains last Friday (21st Sept.) morning to attend the meeting and support our three speakers in the lineup (Ewa, David C. and Chris). 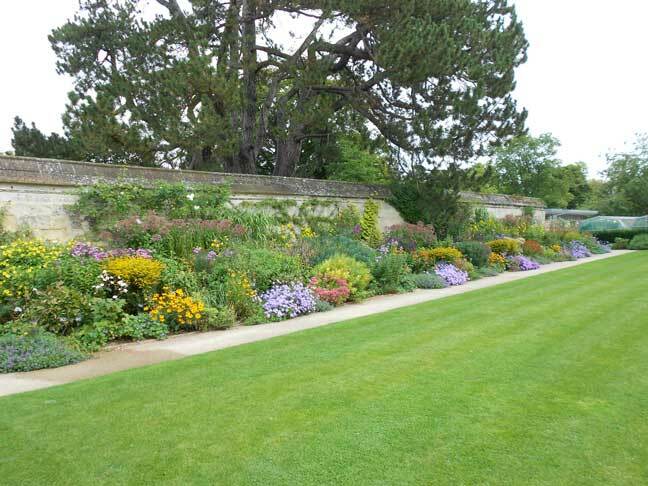 The train journey from Nailsea required 2 changes, so I decided to go quite early in case things went wrong, and to visit the University of Oxford Botanic Garden if they didn’t. I’ve visited the garden before, on an extremely cold day in January a few years ago, when I had a bit of time to kill after the Inorganic Reaction Mechanisms Group meeting, and while there was little going on in the borders outdoors, the greenhouses provided a welcome opportunity to warm up in the bitter cold. I was rather put to shame by Jeff and David T. who boarded the same train in Didcot and were planning to get some work done before the meeting, but it was useful to see the Chemistry in the Garden trail. And the nice thing about the site is that you get glimpses of Oxford sandstone in pictures of the borders which add background and interest to the plants, something other gardens would love to have. 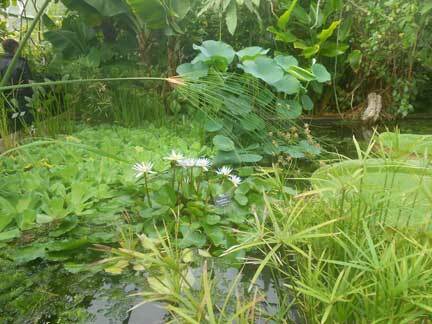 Inside one of the greenhouses, which includes a pond for waterlilies. As a former organiser of SWCC myself, let me congratulate and thank the local organising team of Dr Rob Paton and Prof. John McGrady for putting together a very enjoyable and well-attended meeting, which I know to be hard work. The meeting even drew in an attendee from the University of Warwick (ok, so until 3 weeks ago Scott worked at Bristol, but still…). 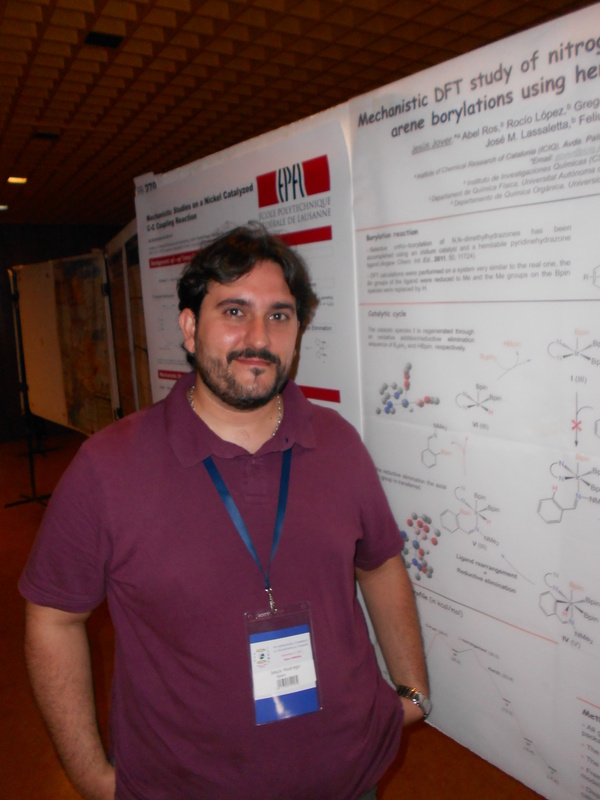 As always, the talks were great, executed professionally and displaying the breadth of research in computational chemistry, and it was good to catch up with our colleagues in the poster sessions and breaks. 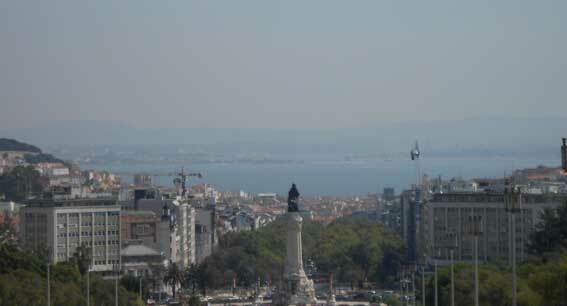 View down Lisbon’s “High Street” towards the river. 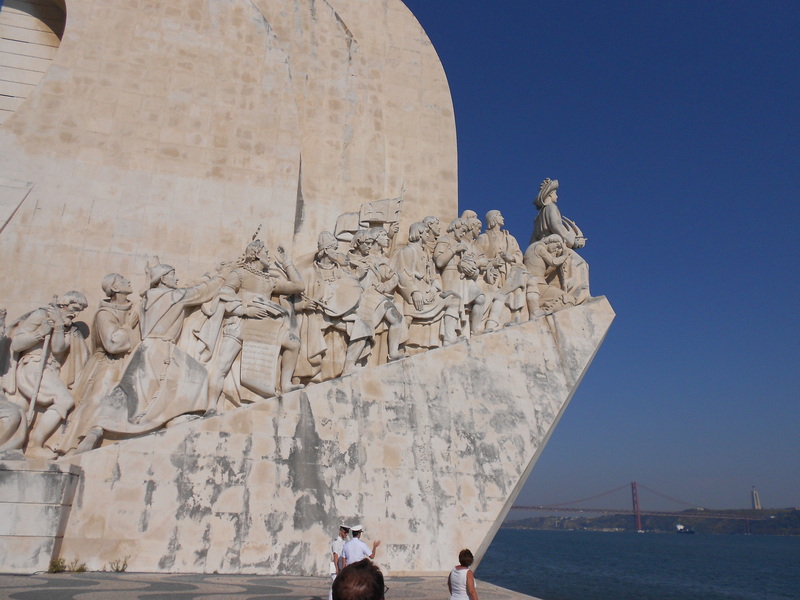 It’s a bit difficult to believe that only 3 weeks ago I was in Lisbon for the International Conference on Organometallic Chemistry (2nd-7th Sept.), where daytime temperatures routinely hit 35-40 degrees Celsius, especially now autumn has settled in and I’ve just acquired a considerable lecture load. While the heat (and I’m really not functioning well outside my normal range of operating temperatures (18-23 deg. C, with about a 2 deg. 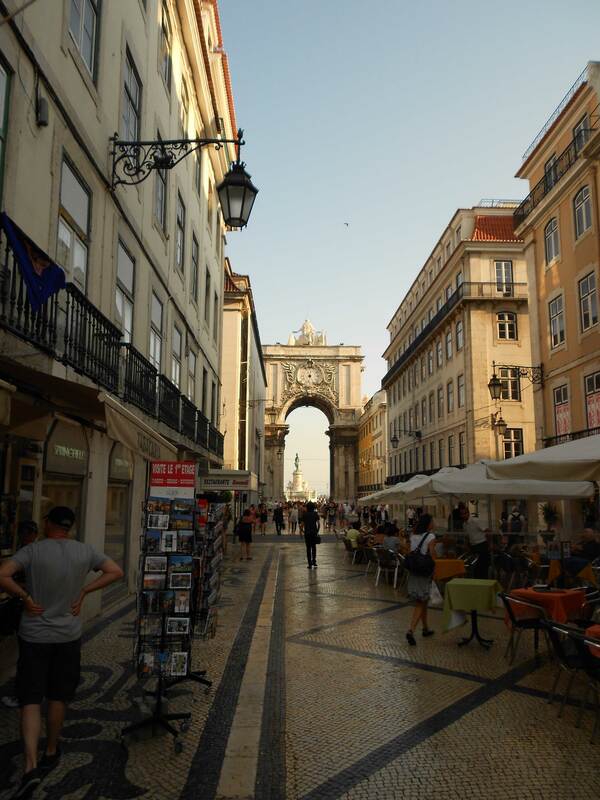 tolerance in case you are wondering)) and the busy schedule of talks prevented me from exploring much of the city, we did ok for finding restaurants in the evening – if you like your seafood, Lisbon is a good place to go and we enjoyed some very tasty dishes. Thank you again to one of the local delegates for a list of recommendations! 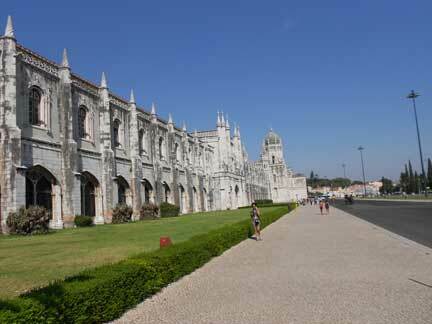 Front of the Jeronimo monastery in Belem. Food aside, there was work to be done and I tried to wake up the audience before my talk on “Predicting Ligand Effects on Organometallic Catalytic Cycles” in the afternoon of a very hot Monday by encouraging them to choose between the Olympic runners Mo Farah and Usain Bolt by either displaying the “Mobot” or the “Lightning Bolt” recently immortalised on our TV screens. Needless to say that uptake was not universal, but a big thank you to the Canadian delegation in the front row (which was about the only thing I could see with a spotlight in my eyes) and the Bristol crowd for joining in. 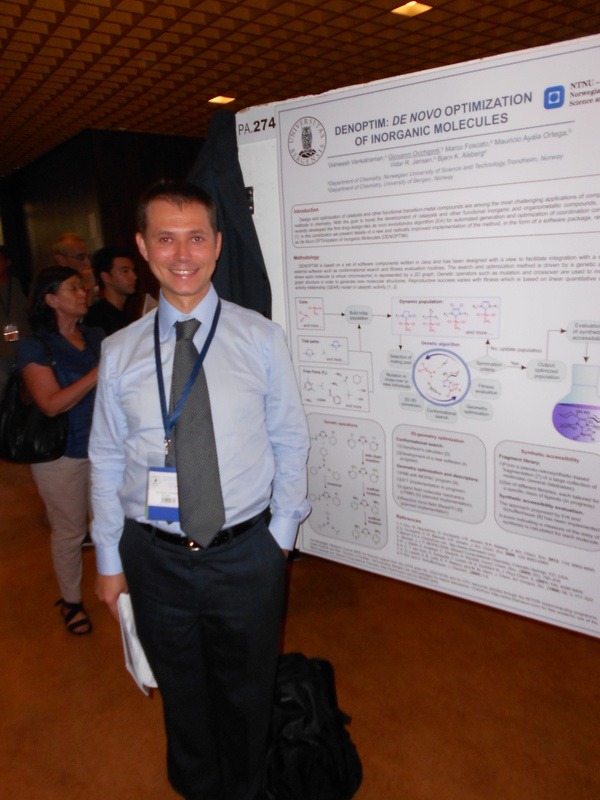 Some people talked to me afterwards to say that they didn’t do a “Mobot” but were interested in the chemistry I talked about, which I guess is the best outcome I could hope for. Part of the fortification against pirates, this little fortress in the river formed part of a triangle of sites for guns. It was never attacked, but is regularly overrun by tourists. 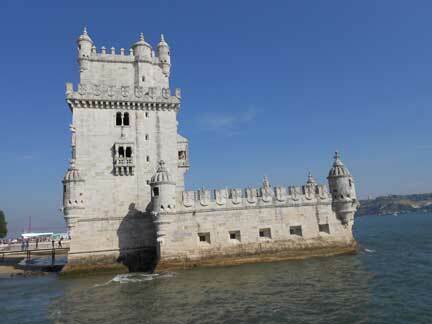 The conference tour (Lisbon sightseeing) on the Wednesday took us down to Belem and the river, which brought a welcome breeze to counter that day’s heat, and, bus-getting-impounded-by-police for logbook checks aside (only for 90 minutes or so), it was a good way to at least see some of the highlights of the city. 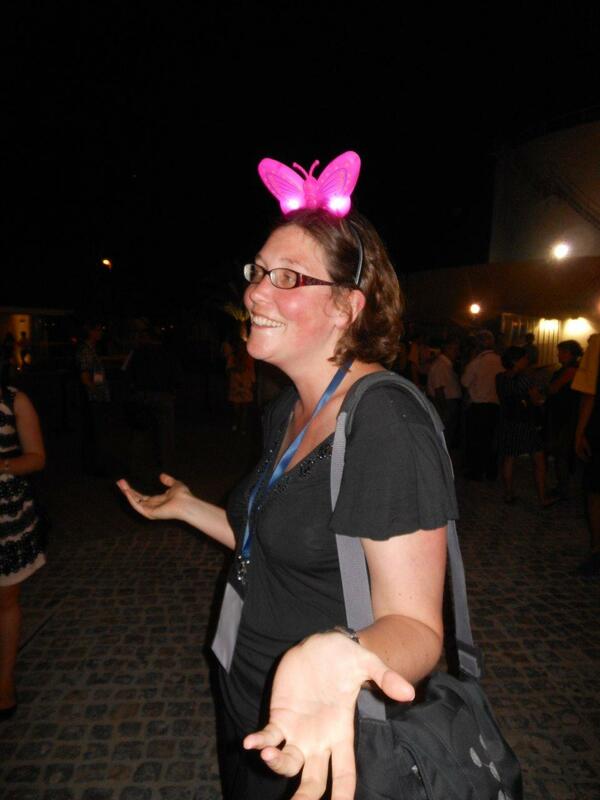 Similarly, the conference dinner took place in front of the Electricity Museum (a lot more fun than it might sound) right by the river bank, and while I might be looking a little hot and bothered on the photo, it was actually incredibly nice to spend the evening sat outside. I’m utilising my current spell of “monkey mind” to generate some posts. For me, monkey mind manifests itself as an inability to focus on a single topic for any significant stretch of time, whizzing instead between lots of different activities to try and keep things from descending into more chaos. It tends to follow close on the heels of conferences and other trips, and is not helped at all by a backlog of emails, meetings, papers to read and write, an overflow of new ideas from the conference, nor indeed the looming end of Fellowship/new teaching term/different job. 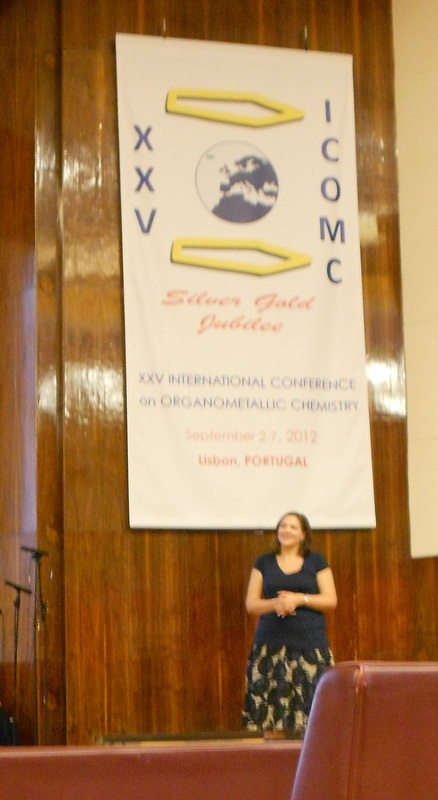 So while I wait for this jumble to settle down again, here are some pictures of friends and collaborators I met up with at the 25th International Conference on Organometallic Chemistry in Lisbon. 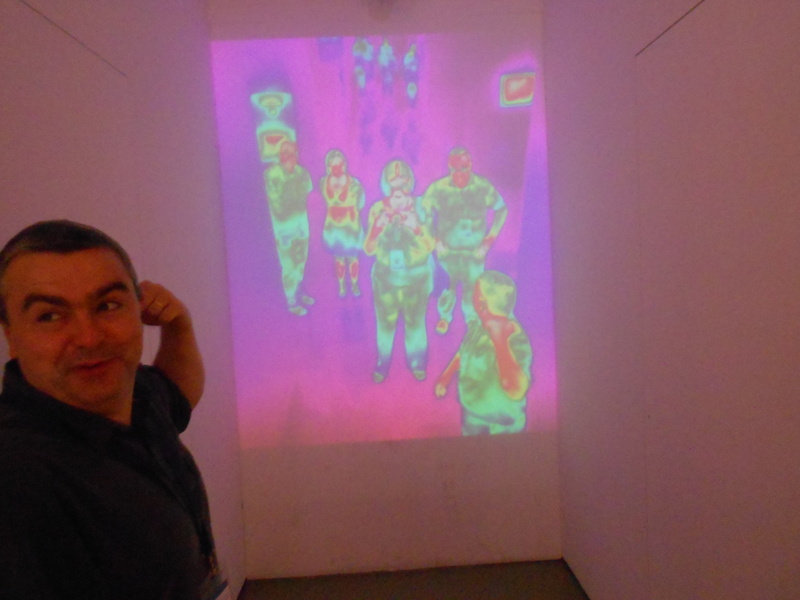 And here is one of my favourite photos from this trip, taken after the conference dinner in the Museum of Electricity, where an infrared camera projected images onto the wall. Jason had an insect bite on his arm which was covered in cooling gel. 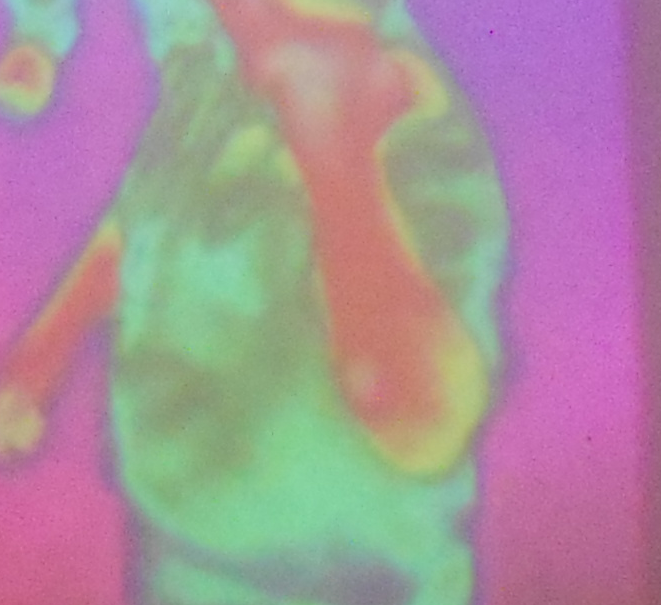 If you look closely on the zoomed in version of the infrared image, you can just see that this is in fact colder than the rest of his arm. Zoomed in on the insect bite. 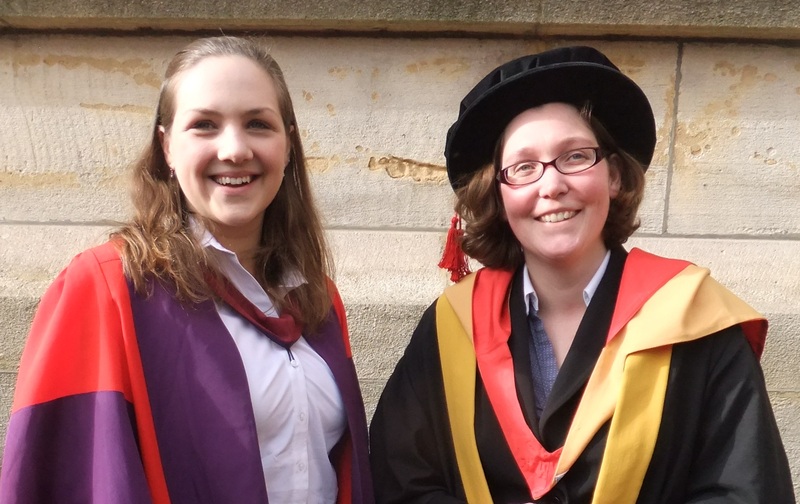 I thought it was about time to move on to new technology, so I’m migrating my research group pages to this blog in time for the new teaching year and other changes. They will continue to be linked via my University of Bristol, School of Chemistry profile, which will remain the primary point of entry. This gives me an opportunity to add news and photos to what would be largely static pages otherwise. And it gives other people the opportunity to subscribe to the blog element and get an update if anything noteworthy happens – there is always hope. Updating the appearance and adding links should also become much easier, and I look forward to receiving comments, likes and shares on social media. Please bear with me while I’m getting organised – there will be some de-cluttering, some new things and more updates. And let me know what you like and dislike, especially in the early stages.